as born in the autonomy province Trento, he is Professor of Saxophone at the Conservatorio “A. Bonporti” in Trento and he is also initiator, founder and artistic director of the fist euregio festival (Trentino, South Tyrol and Tyrol) of classical music calles “Alpen Classica Festival”. He begins his musical studies as Pianist and he got his first degree at the Milan Conservatory G. Verdi. He attended Masterclasses at the Mozartuem Salzburg. He continues playing the saxophone at the Milan Conservatory under the guidance of M. Daniele Comoglio with whom he hold his Bachelor and also Master Degree with best Marks. Further Impulses brought him to Vienna with Lars Mlekusch at the Vienna Conservatory where he attended a two year’s specialisation course. He also has taken choral and orchestral conducting lessons. As an active saxophonist he has performed numerous concerts in Italy, all over Europe (Poland, Austria, Germany, Swiss, France etc) and America with chambers ensemble and orchestras. He has performed various premieres of different composers as Christian Lauba Karlheinz Stockhausen, Michael Kuehn, Heather Frasch and many others. He steadily works with young renowned composers to widen the saxophone repertoire. 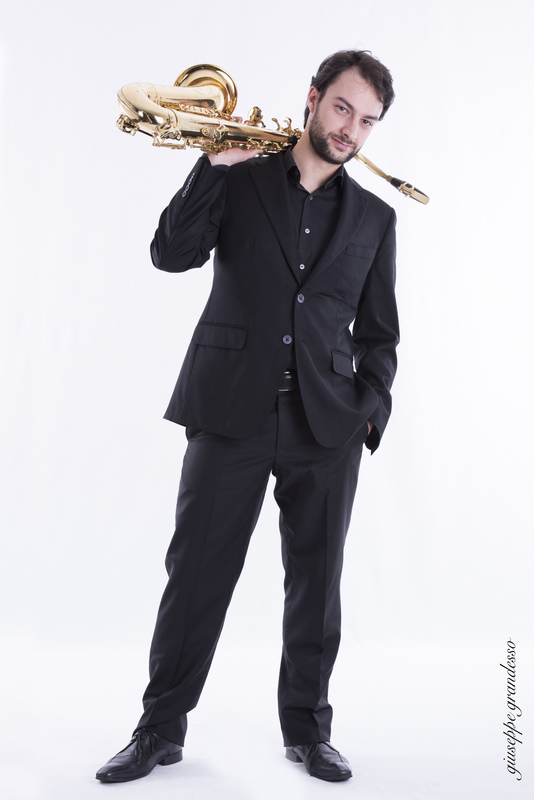 As performer Massimiliano Girardi was awarded in different saxophone and woodwinds international competition as “Concorso di Riccione”, Concorso Internazionale “Nuovi Orizzonti” Arezzo, Concorso internazionale “Agimus” Padova. As a teacher he taught for the Music-school “Musikschule Graz” and “Il diapason” in Trento. Since 2012 he has been Artistic Director and Conductor of the “Gruppo Strumentale Malè”. He also has an intense concert activity as soloist and with various Ensembles like the Milano Saxophone Quartet, Sargas duo (saxophone and organ/piano), Duo Worksong (saxophone and accordion). Massimiliano performed in worldly famous concerts halls and academies like Wiener Konzerthaus, Sala Verdi Milan, Muth Theatre Vienna, Bielsko Concert hall, Stephan’s Dom Wien, Music-university “Frederik Chopin” Warsaw, Music-academy Katowice, Music-academy Krakow and also in renowned festivals like Vienna Saxfest, Stage internazionale del saxofono di Fermo, Festival “A tempo”, “I mormorii della foresta”, Sardinia Organ Fest, Laudes Organi Vienna, Italian Saxweek, Opera Estate, Chile Saxfest, Festival de Musica da Camera “Chiloè Concertante”, Temporada de Musica UTEM (Chile), Tarapaca Musica Festival (Chille), Musica Riva Festival. Massimiliano gives regularely Masterclasses in Europe, Chile and Argentina. Massimiliano is D’Addario Woodwinds, Rico and BG artist. He recently recorded a new CD with Milano Saxophone Quartet about Italian Music for the German Label “ARS”. Massimiliano Girardi è fondatore e Direttore Artistico di Alpen Classic Festival.